The image of Thai children sitting in rows, copying sentences from a blackboard while a teacher, ruler in hand, walks through the aisles sends chills up my spine. Looking into the minds of each individual student I think about how boring that must be. Language isn’t mathematical equations for most of us, but that is how it is being taught in schools all around Asia. They start with grammar, reading and writing as much as possible until 95% of them hate the subject. The fortunate few will move up to try conversations, usually without the help of a native English speaker. If anyone is left at the end, they will hopefully have the confidence to go out and use this in the real world. Mind you, we are talking about a single digit success rate. This paradigm is setting up our students for failure. There are many reasons for the system being set up this way. I won’t dive into all of them as that would be a completely separate post, but one reason is that the teachers aren’t trained any other way. They know these formulas better than most people, and teaching things in a multiple choice format is much easier than trying to teach conversation. In the beginning it’s ok if they make mistakes. As a 2 year old learning English at home, we all made mistakes. It didn’t matter because everyone wanted to understand us. Everyone gave us the confidence to get out what we wanted to say. 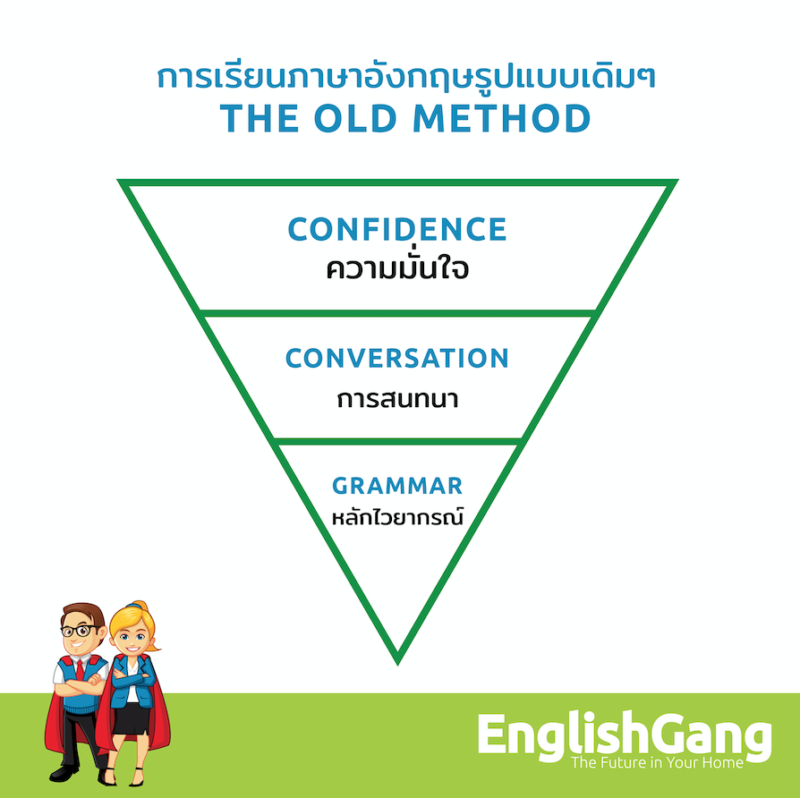 It wasn’t until we were fluent, confident young speakers that we started refining everything with grammar! This should be applied to the way that we learn many things. Confidence should be the basis for everything. Move to something that relates to real world experiences next, and then once you’re confident and able to tackle real problems, refine your practice with detailed adjustments. 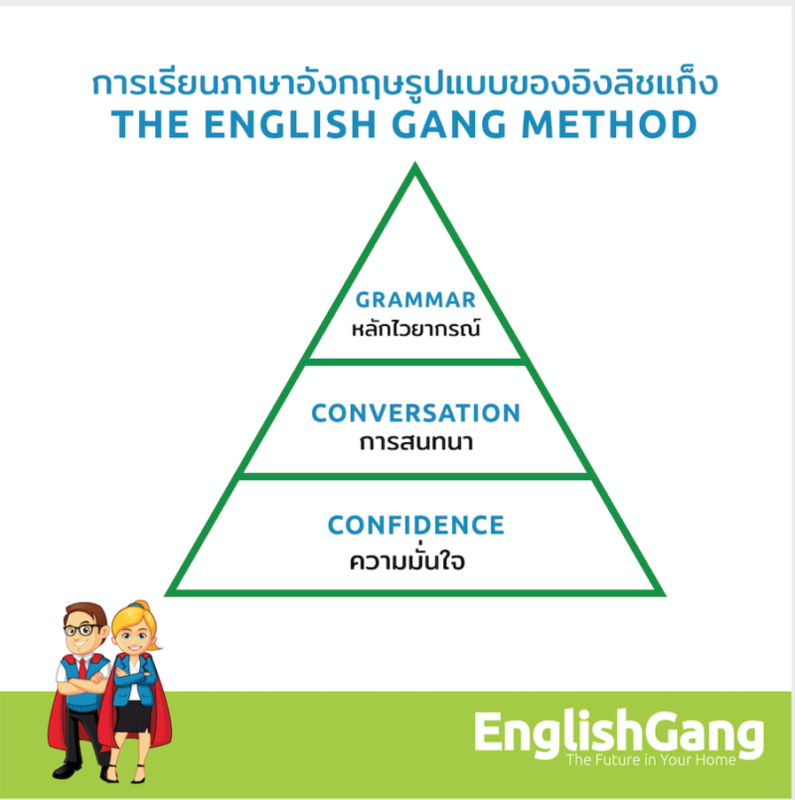 With this method, I believe that we can raise the English levels not just in Thailand, but across Asia and the world. Who’s with me?